Whom would you want to be locked in a cell with for a year? In other words, whom would you want as your sole human company for a year? This is sort of the inverse of Round 1’s question about coffee. In that round a person has to be entertaining only for an hour. In this round a person has to be entertaining for a year (so you want to avoid the people who will become tedious or annoying). 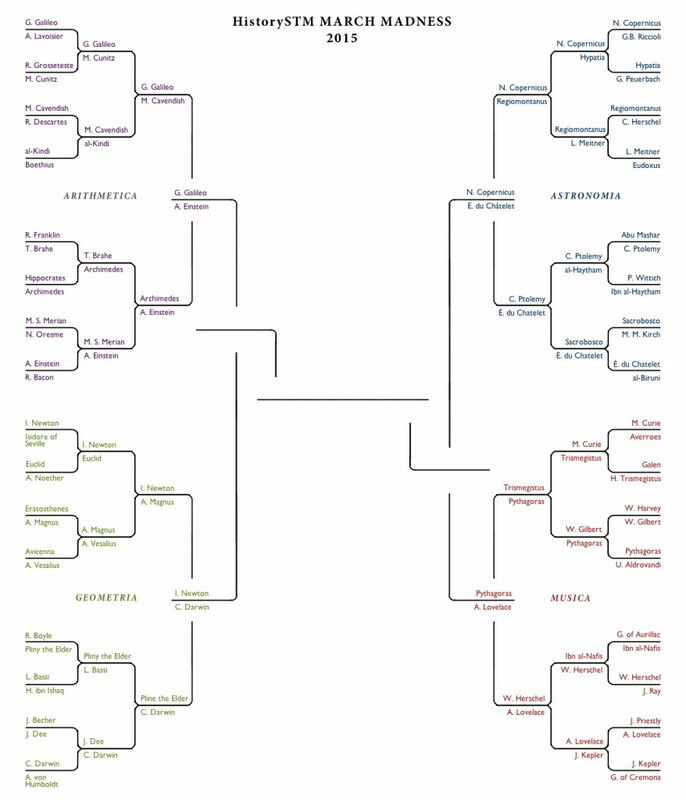 2015 HistorySTM March Madness Round 4: The Elite Eight (click to embiggen).